Taliban fighters have killed at least 26 Afghan policemen in heavy fighting in both northern and central provinces overnight, days before parliamentary elections that the militant group have pledged to disrupt with violence. The latest clashes took place against the backdrop of increasingly positive signs of progress between the US and the Taliban after direct talks last week. Zalmay Khalilzad, the new US special envoy for peace in Afghanistan, met with officials from the group in Doha, where the Taliban embassy is stationed. 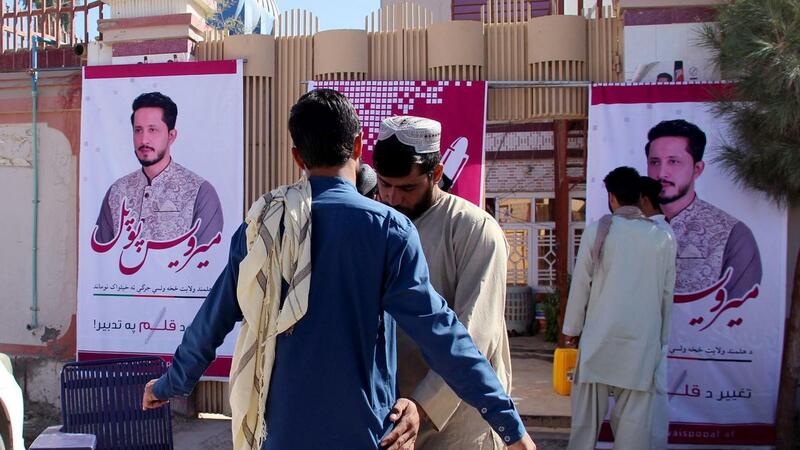 In the northern province of Samangan, Taliban fighters attacked security checkpoints late Monday, killing 13 members of the local police force, including deputy police chief Khawanai Taheri. Samangan police spokesperson Munir Rahimi confirmed to The National that Taliban forces overran police checkpoints in the Dari Soof area of the province. “The local police had planned an operation in that area to clear the Taliban presence to conduct safe elections,” he said. “But the Afghan forces were overpowered by the Taliban fighters resulting in at least 13 casualties,” he said, adding that the Afghan soldiers also inflicted at least 30 casualties among the Taliban fighters. The area remains contested.